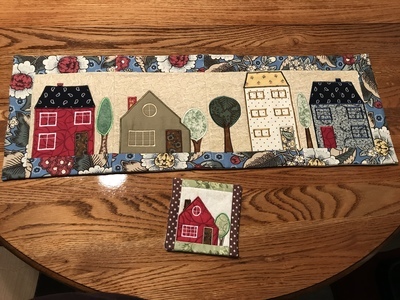 Here are 2 of my favorites projects,Thank You sue Dewsbury for designing them! What a great way to use scraps or bits and pieces. Love them. Beautifully done! Did you find it easy to do the houses runner all in the hoop? 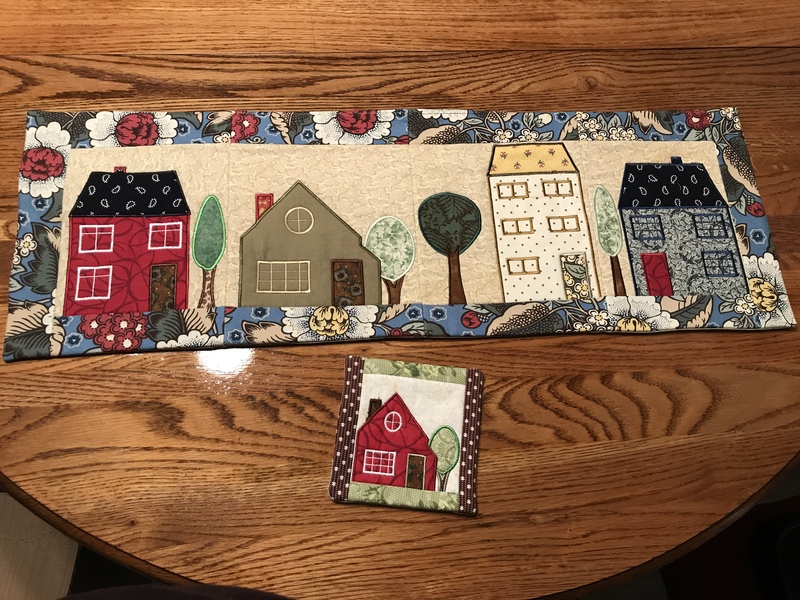 Beautiful designs and awesome stitch outs! 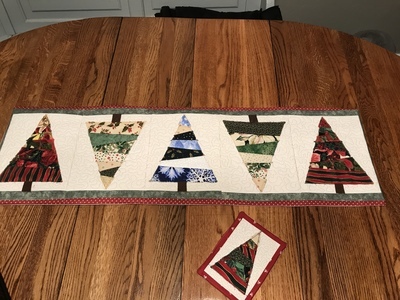 Beautiful work and yes Sue creates some great designs. 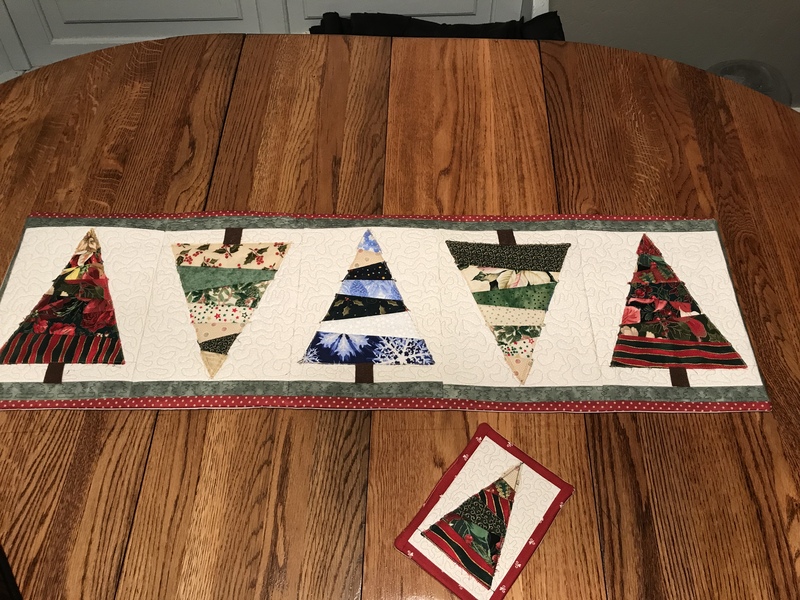 Love your Christmas fabrics on the top runner. Good job my friend. Love your houses the most.